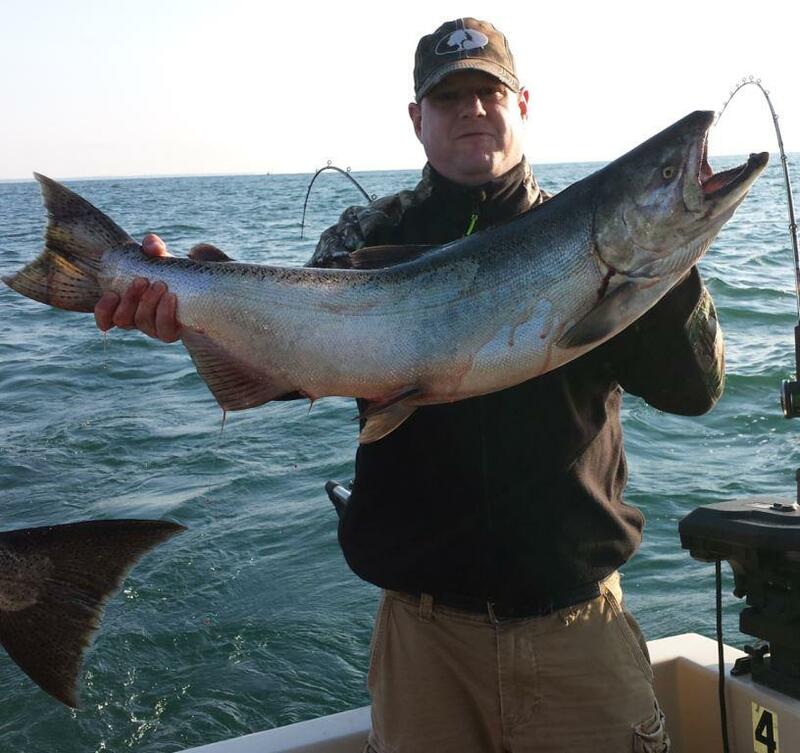 Fishing on Eastern Lake Ontario in the Henderson Harbor area offers both picturesque views and some of the best fishing in the United States. It is a great experience for families - men, women and children of all ages! We can set up multiple boat parties, corporate trips, and private charters. We also have a variety of restaurants and lodging available in the harbor area and will gladly arrange accommodations at your request. Our goal for Milky Way Fishing Charters is not only to put fish in the boat, but also to provide you with a safe, enjoyable, and memorable fishing charter experience! Please come aboard the Milky Way with me and experience the best charter fishing Henderson Harbor and Eastern Lake Ontario has to offer. Lake Trout Limit for Thomas Party With a Bonus 2 Kings! With the fishing season winding down, Bill Thomas Sr., wife Amy and son, Bill Jr. chartered with Milky Way Fishing Charters on Sun., Sept. 16th and went trolling for the big fish. This family group made out pretty well as they got their limit of nice big Lake Trout along with a bonus catch of two big King Salmon! A calm, beautiful day out on Lake Ontario made this an enjoyable day for everyone aboard the Milky Way! Ready For Your Own Charter Fishing Trip? BIG Bass - Not Big Numbers for This Charter! The Sept. 11th Terry Applebee charter which initially went out for bass, ended up catching 6 big slobs on that particular day. Fun Day of Catching Kings for the Gillette Family! On Sun., Sept 9th, the Gillette party went out with the Milky Way for a day of fishing for the big fish. © 2013 Milky Way Fishing Charters. All Rights Reserved.